It is well past Valentine’s Day yet I can’t escape the chocolate that entered our home last month. My mother-in-law usually sends a box the size of my six-year old full of all types of chocolates—Hershey’s, Lindt, Ghirardelli, Godiva, Dove, and Reese’s—because what if we were trapped inside for two years and couldn’t leave the house to get more chocolate? Girl Scout cookies also make their annual appearance around this time and there is less than a month to go until chocolate bunnies will be hopping their way into my stomach. It is a hard time for a chocoholic with no will power. 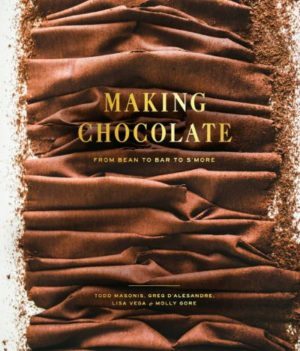 It seemed inevitable that I would be browsing some of the library’s newest books and come across Making Chocolate: From Bean to Bar to S’more by Tom Masonis, a collaboration by several people who create and sell their own chocolate out of a store in San Francisco called Dandelion Chocolate. The detail used to describe the chocolate-making process, from selecting beans to choosing equipment to creating mouth-watering chocolate, is exhaustive and would certainly be an asset to anyone who is interested in making their own chocolate. Honestly, I was more interested in looking at the gorgeous photography and drooling over pictures of desserts than I was in understanding the five factors of viscosity or figuring out what a nib profile is. I also enjoyed reading about how beans are sourced and how different beans provide different flavors. The biggest take-away for me was the handy guide to hosting a chocolate tasting event. I cannot wait to gather some friends to try a tasting of my own based on the steps laid out in the book. Although I consider chocolate a perfectly acceptable breakfast food and the authors of the book recommend tasting your chocolate first thing in the morning before your palate can become distracted, I will probably choose a more socially acceptable time for my gathering. I can’t wait! If you are looking to expand your chocolate repertoire for your own tasting party, try Chocolate Manor in Davenport or the newly opened branch of Shameless Chocolate located right across the river in Moline. I visited Ireland a couple years ago and ate an Irish breakfast every morning. It consisted of black (blood) sausage, white sausage, an egg, bacon that seemed like plain ham, and a grilled tomato. I felt sorry and a bit embarrassed that the breakfast buffet at a hotel frequented by Americans was out of white sausage but had plenty of untouched black sausage. I hate wasting food. Various cultures have utilized animals in nearly their entirety from snout to tail when preparing food throughout human history. That practice has been largely lost in the United States. 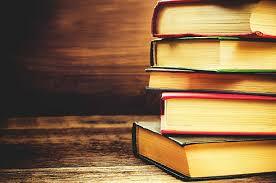 I read Offal Good by Chris Cosnetino after seeing the intensely close-up photo of an animal organ and was intrigued. 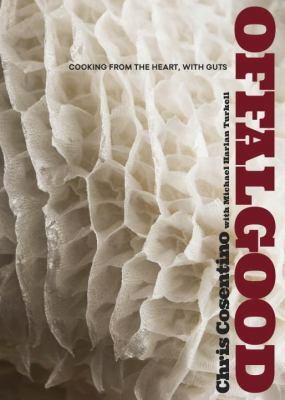 Cosentino is creative in his recipes and both smart and wicked with his humor beginning with the pun in the book title – offal is pronounced awful. One of his recipe titles requires a knowledge of Spanish slang for a body part to get the joke. The recipes’ accompanying photos are beautiful and even a skeptic might admit they look delicious in their presentation. I appreciated his identification of the various parts of the animal as well as describing the differences in preparation among the same part of different animals. My interest in organ meats is twofold: they are rich in vitamins and minerals that muscle meat doesn’t provide and it seems more ethical to consume the entire animal rather than discarding parts deemed undesirable by some arbitrary cultural standard. I decided to try one of the simpler recipes with an ingredient I’m somewhat familiar with, beef tongue. If you haven’t tried tacos de lengua at a local Mexican restaurant, give them a shot. I was squeamish at first and it took a couple of tries for me to adjust to the springy texture, but then again, I felt the same way about shrimp once upon a time. I found beef tongue at a local butcher shop. I honestly had to quell a bit of revulsion at first but I quickly convinced myself I was just getting in touch with the origins of my food. I was finally being honest. Meat doesn’t spring from a neat Styrofoam-plastic-wrapped container as many of us would like to think. 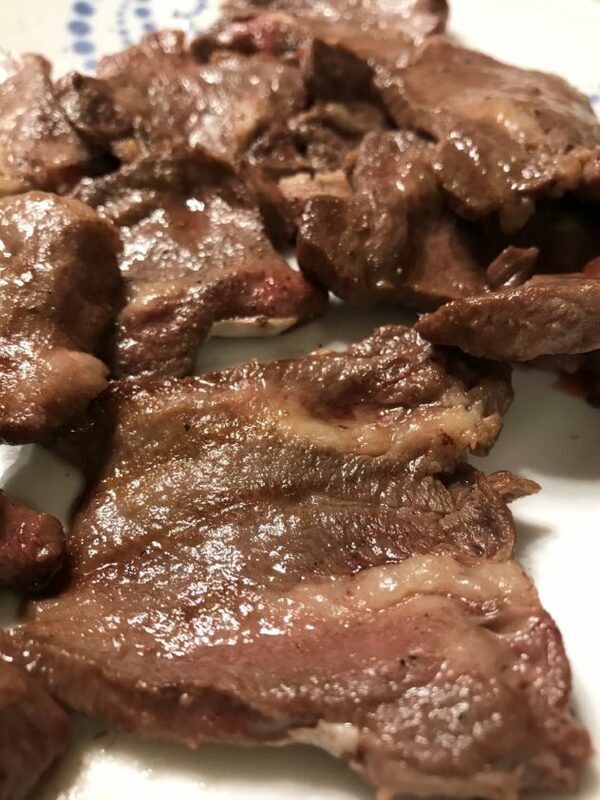 I quickly got in touch with my curious and hungry side and grilled superb thinly-sliced meat using the minimalist recipe provided. The taste was rich and deep. I give the recipe a thumbs up! I will probably never try a few recipes because I can’t completely erase my cultural biases. 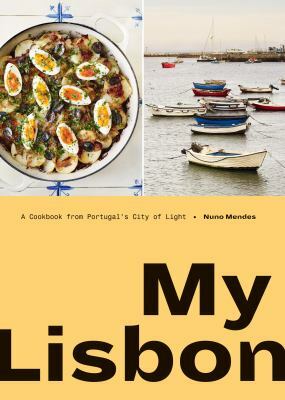 This book is an interesting romp through some seriously amazing cuisine that Americans are overlooking. Perhaps millennials will latch onto the growing trend of cooking with offal and will nudge it into the mainstream. Cooking fish and other seafood at home is much easier than you think! 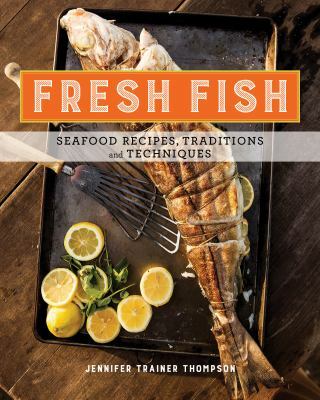 Fresh Fish offers simple step-by-step instructions for all of the essential cooking methods, including baking, pan-frying, braising, broiling, steaming, poaching, roasting, marinating, and grilling – along with 175 mouthwatering recipes that bring out the best in everything from fish fillets and whole fish to shrimp, mussels, lobster, clams, calamari, and more. You’ll also learn how to buy fish (even whole fish) with confidence, how to serve fish raw, how to clean freshly dug clams, and much more. 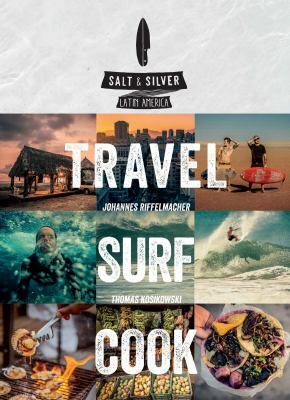 Salt & Silver traces the journey of Johannes Riffelmacher and Thomas Kosikowski as they travel through Central and South America – reporting on all the best surfing locations, chronicling the stories of local surfers and restaurant owners, and compiling recipes representative of each area. The narrative begins in Cuba with beautiful images of the city and the beaches, as well as stories related to the Cuban surfing community and a discussion of popular Cuban dishes. Next is a tour of Mexico–first with street tacos, a trip through Mexican markets, and day spent in the urban graffitiscene of Guadalajara; then with Tostadas de Pulpo (Octopus Crackers), Shrimp and Portobello Burgers, and glimpse into small town life in the remote surfing town of San Pancho. The Mexican leg of the journey draws to a conclusion with 7-meter-waves, BBQ, and Tajine in Rio Nexpa, as well as “a perfect righthander barreling of a point” in the scenic La Ticla. After Mexico comes a long list of sites and sounds as the two men make their way through Nicaragua, Costa Rica, Panama, Ecuador, Peru, and finally Chile, exploring the beaches and waves, as well as the kitchens of each location. 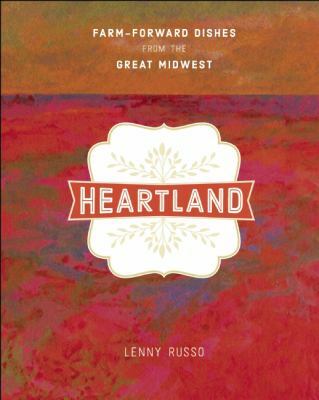 A pioneer in the local field-to-fork movement showcases the fantastic bounty of America’s Midwest with recipes from his storied St. Paul restaurant in Heartland: Farm-Forward Dishes from the Great Midwest. As a child, Adams and her family would routinely embark on the ten-hour journey from their home in Chicago to Winona, Mississippi. There, she would watch her grandmother, affectionately nicknamed Big Mama, bake and develop delicious, melt-in-your-mouth desserts. From blooming tree-picked fruit to farm-raised eggs and fresh-churned butter, Big Mama used what was readily available to invent completely original treats. Adams treasured the moments when her mother, aunt, and Big Mama would bring her into the kitchen to let her dabble in the process as a rite of passage. Big Mama’s recipes became the fabric of their family heritage. Grandbaby Cakes is Adams’s love note to her family, thanking those who came before and passing on this touching tradition with 50 brilliant cakes. Grandbaby Cakes pairs charming stories of Big Mama’s kitchen with recipes ranging from classic standbys to exciting adventures—helpfully marked by degree of difficulty—that will inspire your own family for years to come. 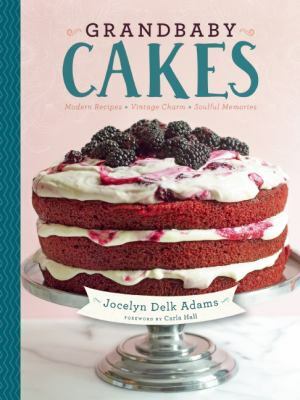 Adams creates sophisticated flavor combinations based on Big Mama’s gorgeous centerpiece cakes, giving each recipe something familiar mixed with something new. From pound cakes and layer cakes to sheet cakes and “baby” cakes (cupcakes and cakelettes), Grandbaby Cakes delivers fun, hip recipes perfect for any celebration. In May 2012, bestselling author Alice Randall penned an op-ed in the New York Times titled “Black Women and Fat,” chronicling her quest to be “the last fat black woman” in her family. She turned to her daughter, Caroline Randall Williams, for help. 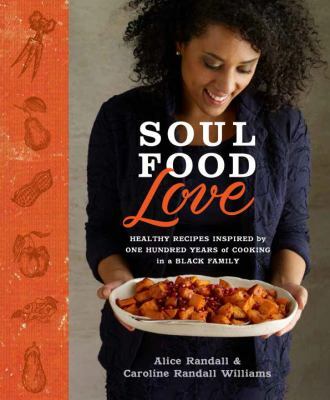 Together they overhauled the way they cook and eat, translating recipes and traditions handed down by generations of black women into easy, affordable, and healthful – yet still indulgent – dishes, such as Peanut Chicken Stew, Red Bean and Brown Rice Creole Salad, Fiery Green Beans, and Sinless Sweet Potato Pie. Eggs are one of the world’s superstar foods: inexpensive, protein-rich, versatile, and easily renewable. 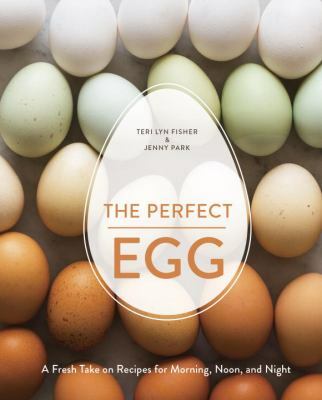 Every food culture has its own take on eggs – for breakfast, lunch, and dinner – and the dazzling variety of dishes in The Perfect Egg is not to be missed. The ladies behind the popular blog Spoon Fork Bacon challenge us to set aside our usual over-easy assumptions and reimagine eggs: from Beet Fettuccine Carbonara to Spicy Korean Bibimbap, and from Baked Egg Boats to Tea Eggs. Along the way, they unscramble the history of egg cultivation and consumption, and crack open the story on egg anatomy, egg types, and what the grading system really means. Additionally, they cover the do’s and don’ts of important techniques from boiling to aerating to pickling eggs. Hot or cold, savory or sweet–there’s nothing better than fresh, flavorful ingredients on a slice of perfectly toasted bread! Toasts are the ideal meal, whether you need a handheld lunch, a creative buffet for hungry guests, or a craveable midnight snack. 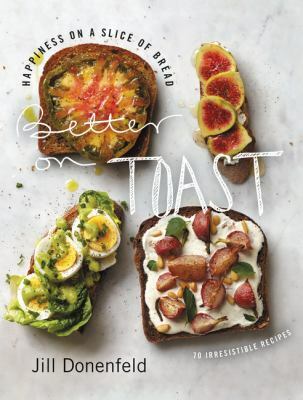 Better on Toast features more than seventy elegantly simple recipes for toasts to appeal to every taste–from Hot Miso Crab to Shaved Asparagus with Serrano-Basil Butter to Lavender Ricotta. Jill Donenfeld layers flavors and uses quality, wholesome ingredients to make each recipe stand out, while her magical toasting techniques bring out the best in every bread, from thick-cut brioche to hearty grain to her signature gluten-free Quinoa Millet Bread.